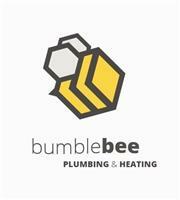 Bumblebee Plumbing and Heating Ltd - Central Heating Engineer, Plumber based in Great Sankey, Cheshire. With over 15 years British Gas experience there are few boiler or system faults that I have not dealt with. I was trained at the British Gas academy in Leeds, I have received top honours throughout my career the pinnacle of which was being nominated engineer of the year 2012. I also later went on to star in the A team (British gas) advertising campaign which lasted three years. I left British Gas to fulfil my dream of running a successful company. Now 2.5 years in we have 4 vans on the road, a full time office and have Recent winners of the "INSTALLER OF THE YEAR 2018" in the energy efficiency awards. on time, neat and tidy (both in our appearance and in you property), reasonably priced, and honest. Central heating installations (installer of the year 2018),central heating boiler care/cover plans, central heating breakdowns, boiler servicing, installation and removal of radiators, plumbing, fixing leaks, landlord gas safety checks (CP12's). Anything you are unsure about just simply contact us. Why Choose Bumblebee Plumbing & Heating? We are a very successful company, having recently won Installer of the year 2018 along with other industry awards and this has only happened as result of our hard work and pays homage to our mantra - "Every house we go into should be a customer for life" because we believe if we are reasonably priced, polite, cautious and we do a good job then customer loyalty will follow. We are Bumblebee Plumbing and Heating "we are buzzing about service" and remember you won't get stung! !